Download "1 Copyright 2012, Oracle and/or its affiliates. All rights reserved." 1 1 Copyright 2012, Oracle and/or its affiliates. All rights reserved. 2 The following is intended to outline our general product direction. It is intended for information purposes only, and may not be incorporated into any contract. It is not a commitment to deliver any material, code, or functionality, and should not be relied upon in making purchasing decisions. The development, release, and timing of any features or functionality described for Oracle s products remains at the sole discretion of Oracle. 2 Copyright 2012, Oracle and/or its affiliates. All rights reserved. 3 Oracle Solaris 11 Repositories Best Practices Detlef Drewanz Principal Sales Consultant, Server Architects Northern Europe 3 Copyright 2012, Oracle and/or its affiliates. All rights reserved. 4 Agenda Solaris 11 IPS Solaris 11 Repositories Erstellung und Konfiguration von Repositories Deployment Strategien von Repositories 4 Copyright 2012, Oracle and/or its affiliates. All rights reserved. 5 Oracle Solaris 11 Lifecycle Management Kurzüberblick Kleinere Images für die OS-Installation Überarbeiteter OS-Installer ZFS als root-filesystem Bootenvironments Neu: Image Packaging System (IPS) Neu: IPS-Repositories 5 Copyright 2012, Oracle and/or its affiliates. All rights reserved. 6 Das Image Packaging System (IPS) Netzwerk-orientiertes Paketmanagement Installation, Upgrade, Entfernen von Paketen Pakete sind Sammlungen von Aktionen und Payload Abhängigkeiten zwischen Paketen Versionierung von Paketen z.b. Package version numbering explained [MOS-ID ] Paket-Updates anstelle von Patches 6 Copyright 2012, Oracle and/or its affiliates. All rights reserved. 7 IPS-Repositories Verteilung von IPS-Pakete durch Publisher in Repositories oder Package-Archiven Manifeste und Package Content (kombiniert x86 und SPARC) 2 Typen von Repositories Origin: Enthält Metadaten und Package Content Mirror: Enthält nur Package Content Zugriff: file://... (oder nfs://...) Das Repository für Oracle Solaris 11 (Baseline) 7 Copyright 2012, Oracle and/or its affiliates. All rights reserved. 8 svc:/application/pkg/ zones-proxy-client ora_zone svc:/application/pkg/ zones-proxy-client app_zone Integration von Zonen in IPS IPS Proxy Service und System-Repository für Zonen svc:/application/pkg/zones-proxyd Global Zone Solaris 11-Host 8 Copyright 2012, Oracle and/or its affiliates. All rights reserved. 9 Repositories via Proxies Umgebungsvariable in der Shell setzen # export http_proxy = # export https_proxy = Service Property für System-Repository setzen # svccfg -s pkg/system-repository setprop config/http_proxy = \ astring:" # svcadm refresh pkg/system-repository 9 Copyright 2012, Oracle and/or its affiliates. All rights reserved. 10 Das Solaris Support Repository Monatliches Update Für Kunden mit Solaris Wartungsvertrag Registrierung bei Support Repositories Explained [ID ] Support Repository Updates (SRU) Download Offline von Oracle Solaris 11 SRU Index [ID ] 10 Copyright 2012, Oracle and/or its affiliates. All rights reserved. 11 Support Repository Updates (SRU) Monatliche Updates zum Release Repository Enthalten die neueste Version eines Paketes seit Release Packagename Erste Version Version mit SRU 1 Version mit SRU 2 Version mit SRU 3 Version mit SRU 4 pkga (update) 1.1 (halten) 1.2 (update) 1.3 (update) pkgb (update) (update) (halten) entire (update) (update) (update) (update) 11 Copyright 2012, Oracle and/or its affiliates. All rights reserved. 12 Anlegen eines Solaris 11 IPS-Repositories Erstellung aus Baseline.iso Oder per pkgrecv aus existierendem Baseline Repository Kompression für Metadaten der Pakete Der Paket-Content liegt bereits komprimiert im Repository # zpool create -O compression=on -O atime=off repo c3t2d0 # zfs create repo/s mount Repository ISO Image... # rsync -apq /media/sol11repo_full/repo /repo/s11.1 # pkgrepo -s /repo/s11.1 refresh # pkg set-publisher G -g /repo/s11.0 solaris 12 Copyright 2012, Oracle and/or its affiliates. All rights reserved. 13 Attribute eines Solaris 11 IPS-Repositories Abfrage der Attribute von Repositories # pkgrepo get -s /repo/s11.1 SECTION PROPERTY VALUE publisher prefix solaris repository description This repository serves a copy of the Oracle Solaris 11.1 Build 24b Package Repository. 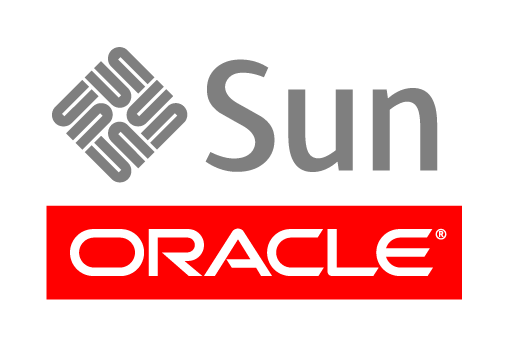 repository name Oracle Solaris 11.1 Build 24b Package Repository repository version 4 13 Copyright 2012, Oracle and/or its affiliates. All rights reserved. 14 Konfiguration und Start des Depot Service # svccfg -s pkg/server setprop pkg/inst_root=/repo/s11.0 # svccfg -s pkg/server setprop pkg/readonly=true # svcadm refresh pkg/server # svcadm enable pkg/server # pkg set-publisher G /repo/s11.0/ -g solaris # pkgrepo info s PUBLISHER PACKAGES STATUS UPDATED solaris 4307 online T21:58: Z 14 Copyright 2012, Oracle and/or its affiliates. All rights reserved. 15 Integration eines SRU in ein Repository Zeitaufwand abhängig von der Größe des SRU ISO und der bereits eingespielten SRU Index-Rebuild nach SRU-Einspielen wichtig, damit die Suchfunktion funktioniert... Download und mounten des Repository ISO Image... # pkgrecv s /media/sol11_1111_repo_sru4_incr/repo d /repo/s11.0 '* # pkgrepo rebuild -s /repo/s11.0 # svcadm restart pkg/server 15 Copyright 2012, Oracle and/or its affiliates. All rights reserved. 16 Repositories und Updates? 16 Copyright 2012, Oracle and/or its affiliates. All rights reserved. 17 Agenda Solaris 11 IPS Solaris 11 Repositories Erstellung und Konfiguration von Repositories Deployment Strategien von Repositories 17 Copyright 2012, Oracle and/or its affiliates. All rights reserved. 18 Deployment von Repositories Zentrales Repository oder lokale Repository-Kopie? Je Release ein eigenes Repository oder Eines für alle? Ein oder mehrere lokale Repositories? Synchonisation mehrerer lokaler Repositories? Zugriff lokal oder via NFS, HTTP oder HTTPS? Integration von SRU's? 18 Copyright 2012, Oracle and/or its affiliates. All rights reserved. 19 Zentrales Repository oder lokale Kopie? 19 Copyright 2012, Oracle and/or its affiliates. All rights reserved. 20 Zentrales Repository oder lokale Kopie? 20 Copyright 2012, Oracle and/or its affiliates. All rights reserved. 21 Zentrales Repository oder lokale Kopie? 21 Copyright 2012, Oracle and/or its affiliates. All rights reserved. 22 Zentrales Repository oder lokale Kopie? pkgrecv pkgrecv 22 Copyright 2012, Oracle and/or its affiliates. All rights reserved. 23 Zentrales Repository oder lokale Kopie? pkgrecv pkgrecv 23 Copyright 2012, Oracle and/or its affiliates. All rights reserved. 24 pkgrecv Zentrales Repository oder lokale Kopie? pkgrecv pkgrecv 24 Copyright 2012, Oracle and/or its affiliates. All rights reserved. 25 pkgrecv Zentrales Repository oder lokale Kopie? pkgrecv pkgrecv 25 Copyright 2012, Oracle and/or its affiliates. All rights reserved. 26 Zentrales Repository oder lokale Kopie? Zentrales Repository Kein Aufwand für Synchronisation Verbindung zum Internet direkt oder via Proxy notwendig Lokale Repository-Kopie Im lokalen Netzwerk verfügbar Unabhängig von externem Netzwerk Performance Security Sychronisation organisieren 26 Copyright 2012, Oracle and/or its affiliates. All rights reserved. 27 Je Release ein eigenes Repository oder ein gemeinsames Repository? 27 Copyright 2012, Oracle and/or its affiliates. All rights reserved. 28 Je Release ein eigenes Repository oder ein gemeinsames Repository? Strukturierung der Releases Aufwand zur Integration der Releases Plege unterschiedlicher Publisher Einträge Nachtrag neuer Repositories bei neuen Releases Löschung alter Release-Stände ZFS Snapshots nutzen 28 Copyright 2012, Oracle and/or its affiliates. All rights reserved. 29 Ein oder mehrere lokale Repositories? Aufwand zur Pflege mehrerer Repositories Synchronisation verteilter Repositories untereinander Skalierbarkeit eines einzelnen Repositories Netzwerkperformance zu einem zentralen oder zu verteilten Repositories 29 Copyright 2012, Oracle and/or its affiliates. All rights reserved. 30 Synchronisation lokaler Repositories rsync Schnelle Synchronisation auf Dateiebene zfs send/receive Synchonisation auf ZFS Ebene pkgrecv Synchronisation auf Repository-/Paket-Ebene Empfohlener Prozess "the right tool for the right job" 30 Copyright 2012, Oracle and/or its affiliates. All rights reserved. 31 Lokales, NFS, HTTP oder HTTPS - Repository Lokal Exklusiver, netzunabhängiger Zugriff NFS NFS-Server hält das Repository, Zugang via NFS-Filesystem HTTP Zentraler Zugang, Protokoll via Proxy und Cache möglich HTTPS Wie HTTP, aber sicherer wenn erforderlich 31 Copyright 2012, Oracle and/or its affiliates. All rights reserved. 32 Integration von SRU in lokale Repositories? 4 Formen der Integration von SRU und Release Repository Single Repo Separated Repo SRU Repo Combined Repo 32 Copyright 2012, Oracle and/or its affiliates. All rights reserved. 33 Single Repository 33 Copyright 2012, Oracle and/or its affiliates. All rights reserved. 34 Single Repo Alle SRU und alle Releases in einem Repository Nur 1 Repository-Eintrag für alle Updates zu verwalten Repository wächst mit jedem SRU und jedem Release "Aufräumen" der Repositories für alte Releases schwierig Keine Änderung des Publishers bei Upgrade notwendig Gut einsetzbar, Anwendungsfall des Support Repositories 34 Copyright 2012, Oracle and/or its affiliates. All rights reserved. 35 Separated Repositories 35 Copyright 2012, Oracle and/or its affiliates. All rights reserved. 36 Separated Repo Jedes SRU und jedes Release ein Repository Schnelles Auspacken und Erstellen der Repos Unabhängige Repos Erheblicher Pflegeaufwand der Publisher Einträge an jedem Client Nachtrag neuer Repositories bei bereits existierenden Clients Mehr Plattenplatz erforderlich Nicht praxistauglich wegen Administrationsaufwand 36 Copyright 2012, Oracle and/or its affiliates. All rights reserved. 37 SRU Repositories 37 Copyright 2012, Oracle and/or its affiliates. All rights reserved. 38 SRU Repo Je ein Release- und ein SRU-Repository Schnelles Auspacken und Erstellen des Release-Repos Unabhängiges SRU-Repo Je Release 2 Repository-Einträge zu verwalten Einsatzfall denkbar, aber ohne Mehrwert gegenüber Combined Repo 38 Copyright 2012, Oracle and/or its affiliates. All rights reserved. 39 Combined Repositories 39 Copyright 2012, Oracle and/or its affiliates. All rights reserved. 40 Combined Repo Je Release die SRU und das Release-Repository zusammen Je Release nur 1 Repository-Eintrag zu verwalten Repository wächst mit jedem SRU Je Release ein unabhängiges Repository Einfaches "Aufräumen" der Repositories für alte Releases Änderung des Publishers bei Upgrade notwendig Gut einsetzbar 40 Copyright 2012, Oracle and/or its affiliates. All rights reserved. 41 Das Combined Repository pkgrecv 41 Copyright 2012, Oracle and/or its affiliates. All rights reserved. 42 Das Combined Repository pkgrecv pkgrecv 42 Copyright 2012, Oracle and/or its affiliates. All rights reserved. 43 Mehrere Combined Repositories 43 Copyright 2012, Oracle and/or its affiliates. All rights reserved. 44 Mehrere Combined Repositories Wieviele TCP-Ports werden benötigt, wenn wir z.b. bei Solaris 11.5 sind und Combined- oder SRU-Repositories verwendet haben? Verwendung in verteilten Netzen, Firewalls, Proxies,... Zugriff auf alle Combined Repositories über einen gemeinsamen Reverse Proxy Apache Server und verschiedene URL 44 Copyright 2012, Oracle and/or its affiliates. All rights reserved. 45 Mehrere Combined Repositories Apache Reverse Proxy Repo-Server 45 Copyright 2012, Oracle and/or its affiliates. All rights reserved. 46 Mehrere Combined Repositories /s11.0 zeigt auf (s11.0) /s11.1 zeigt auf (s11.1) /s11.2 zeigt auf (s11.2) Copyright 2012, Oracle and/or its affiliates. All rights reserved. 47 Mehrere Combined Repositories Konfiguration Depot-Server Instanz # svccfg -s pkg/server add s11-0 # svccfg -s pkg/server:s11-0 addpg pkg application # svccfg -s pkg/server:s11-0 setprop pkg/port=10110 # svccfg -s pkg/server:s11-0 setprop pkg/inst_root=/repo/s11.0 # svccfg -s pkg/server:s11-0 setprop pkg/readonly=true # svccfg -s pkg/server:s11-0 setprop pkg/address= # svccfg -s pkg/server:s11-0 setprop pkg/proxy_base=astring: # svccfg -s pkg/server:s11-0 addpg general framework # svccfg -s pkg/server:s11-0 addpropvalue general/complete astring: s11-0 # svcadm refresh pkg/server:s11-0 # svcadm enable pkg/server:s Copyright 2012, Oracle and/or its affiliates. All rights reserved. 49 Logging des Zugriffs auf Repositories Auswertung des Access Log-Files des Reverse Proxy Servers Erstellung und Auswertung des Access Log-Files des Depotd-Servers Auswertung z.b. mit 49 Copyright 2012, Oracle and/or its affiliates. All rights reserved. 50 Zusammenfassung Combined Repositories haben sich neben Single Repositories als beste Anwendungsform ergeben Mehrere Repositories können zur Vereinfachung mit verschiedenen URL hinter einem gemeinsamen Port betrieben werden HTTP-Repositories bieten die besten Eigenschaften für verteilte Anendungen 50 Copyright 2012, Oracle and/or its affiliates. All rights reserved. 51 Weitere Informationen Evaluating Oracle Solaris 11, Howto, Cheat Sheets,... How to Update Oracle Solaris 11 Systems From Oracle Support Repositories Solaris 11 SRU / Update relationship explained, and blackout period on delivery of new bug fixes eliminated More Tips for Updating Your Oracle Solaris 11 System from the Oracle Support Repository sru html 51 Copyright 2012, Oracle and/or its affiliates. All rights reserved. 52 Q&A 52 Copyright 2012, Oracle and/or its affiliates. All rights reserved. 53 53 Copyright 2012, Oracle and/or its affiliates. All rights reserved. Das DTrace-Toolkit als Diagnose- Werkzeug Dtrace for beginners. Oracle Datenbanken optimal verwalten? Cloud Control natürlich! Solaris 11 IPS - Erstellung und Verwaltung eigener SW-Pakete Heiko Stein Senior Architekt etomer GmbH etomer GmbH 01.03.2012 / Folie 1 Agenda Motivation oder weshalb sollte man sich mit IPS beschäftigen? 1 Copyright 2011, Oracle and/or its affiliates. All rights Forms von A - Z Christian Kühne / Jürgen Menge / Wolfgang Kriebel Oracle Deutschland B.V. & Co. KG 2 Copyright 2011, Oracle and/or its affiliates. SAP Integration leichtgemacht Michael Stapf Nürnberg, 17. November 2010 Server Technologies BU MWTech ORACLE Deutschland B.V. & Co. KG The following is intended to outline our general product direction.